Continuing with my mini-series on some questions I’ve received from residents in Langley City, today’s topic will be on water quality. I received an email a few weeks ago inquiring about the quality of water in our community, the frequency of water testing, and if those testing results are made available to the public. Langley City like most municipalities in our region receives its water from Metro Vancouver. Our water comes from the Coquitlam reservoir. Water is treated at the reservoir, and is also treated again in the Clayton area of Surrey, before arriving in Langley City. The City also has its own reservoir to store water and provide water pressure in the southern part of our community. 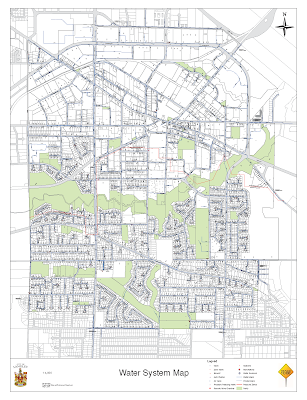 There are also interconnects to the Township of Langley’s water system in the event there is an issue with the one connection to the Metro Vancouver water system. 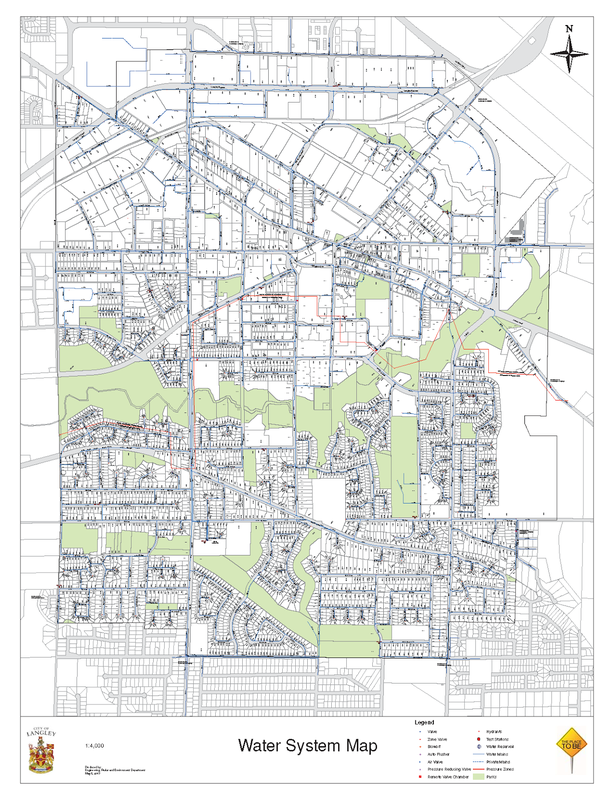 Langley City Water System Map. Select image to enlarge. In addition to the water quality tests done by Metro Vancouver, Langley City also tests our water weekly. There are 14 water quality sampling stations located throughout the community. You can see the results of 714 drinking water samples tested in the City’s 2016 Water Quality Report. The short of it is that in 2016 all water samples met Provincial Drinking Water Protection Regulation standards. The specific question I received was about lead in the water system. Federal guidelines say there should be no more than 10 μg/L of lead in drinking water. The samples taken in Langley City were around 1μg/L or less. I should note that your building’s pipes can also impact water quality; this is something that the City can't test. On a different note, the City keeps track of the amount of water used in our municipality. While our community is growing, the amount of water we use is shrinking. We are doing our part to conserve water in the region. 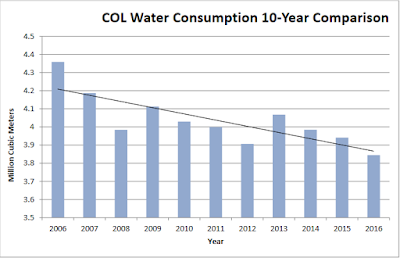 Langley City Water Consumption ‐ 10 Year Comparison. Select chart to enlarge. In Langley City, we have some of the highest quality drinking water in the world. As the recent results show, our water is safe to drink.